Last week, Judge Klausner from the US District Court for the Central District of California denied a fan film producer’s motion to dismiss a copyright infringement lawsuit brought by Paramount Pictures and CBS Studio, which own the copyrights in the Star Trek franchise. The case present some interesting issues regarding the interplay between copyright holders and fans that attempt to create works inspired by or based off of more famous works. The case is pending in Los Angeles and is captioned Paramount Pictures Corp. v. Axanar Productions, Inc. (No. 2:15-cv-09938-RGK-E). Star Trek is one of the most successful science fiction creations of the last fifty years. Created by Gene Roddenberry and first aired on television in 1966, Star Trek chronicles the adventures of humans and aliens in the future as they venture through space. The original television series has spawned numerous feature films and television series, in addition to creating a huge and devoted fan base. The fan base is noted, in particular, for recreating and reenacting characters and scenes from the franchise, as well as creating new works based on the characters and events portrayed in the television series and movies. This lawsuit arose out of one such effort by a group of fans to create a movie based on a scene from the original television series when Captain Kirk meets one of his heroes, Garth of Izar, and discusses Garth’s victory against the Klingons in the battle of Axanar. Defendants created a script, received funding through various sources, and released a short film based on the Battle of Axanar that is a preview of their anticipated longer film. Plaintiffs filed suit claiming that Defendants’ efforts violated numerous copyrights that they own in the Star Trek franchise. In plaintiffs’ amended complaint, they set forth numerous examples of what they contend are infringing features or elements of defendants’ work, which include such things as various characters, alien races, costumes, settings, starships, logos, plot points, dialogue, and themes, some of which are shown below (Anaxar on the left, and plaintiffs’ on the right). 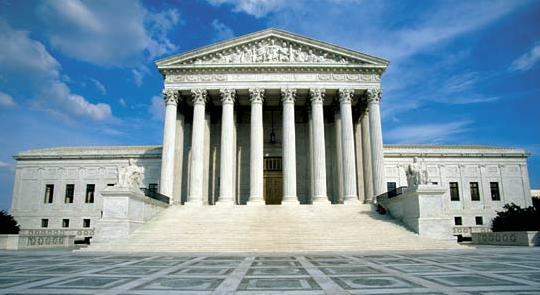 Defendants moved to dismiss the lawsuit on various grounds–that plaintiffs had failed to provide sufficient notice of what actions constituted infringement, that Paramount lacked standing to sue, that the allegations were not sufficient under the Twombly standard, that the various elements identified by plaintiffs were not protectable, that the claims were premature because the film had not been released, and that plaintiffs’ efforts amount to impermissible prior restraint. One of the more interesting aspects to this case was an amicus brief filed by the Language Creation Society. In its amended complaint, plaintiffs asserted that the Klingon language itself was protected by copyright. The Language Creation Society argued that the copyright laws do not protect a language itself. The Judge did not address this point in the opinion on the motion to dismiss, but this issue is an interesting one presented in a novel form. The amicus brief is a particularly good read, as it is interspersed with quotes and phrases in the Klingon language. The case is far from over, but it is an interesting window into the difficulties (both legal and otherwise) that a successful copyright owner faces in trying to creatively and economically control its works. The case is a class action suit led by film production companies and a California musician who were working on a documentary about the song, “Happy Birthday to You.” Warner/Chappell claimed to have a copyright on the song and demanded that Plaintiffs pay a $1,500 licensing fee to use the song. The court goes through a large amount of historical evidence presented by both sides on cross motions for summary judgment. 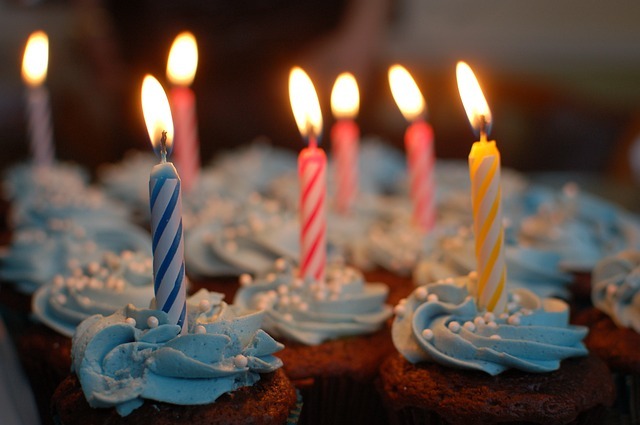 After reviewing the evidence, the court found that Warner/Chappell did not own a valid copyright in the “Happy Birthday” lyrics and that the music for the song had entered the public domain years ago. The origin of Warner/Chappell’s claim that it owned the copyright went back to a previous company which had acquired a song from two sisters that had the same music but different words, titled “Good Morning to All.” The court could not find any reference to the “Happy Birthday” words in the agreement between the sisters and the purchasing company, Summy Co. (Defendants were successors-in-interest to Summy Co.). Thus, the court ruled in favor of Plaintiffs. Plaintiffs are seeking to have Warner/Chappell return the millions of dollars they collected over the years. Also, we are all now free to sing “Happy Birthday to You” without fear of having to pay $1,500 (unless the case gets reversed on any appeal). In the ever transitioning world of copyright law, issues surrounding the selfie have recently taken center stage. 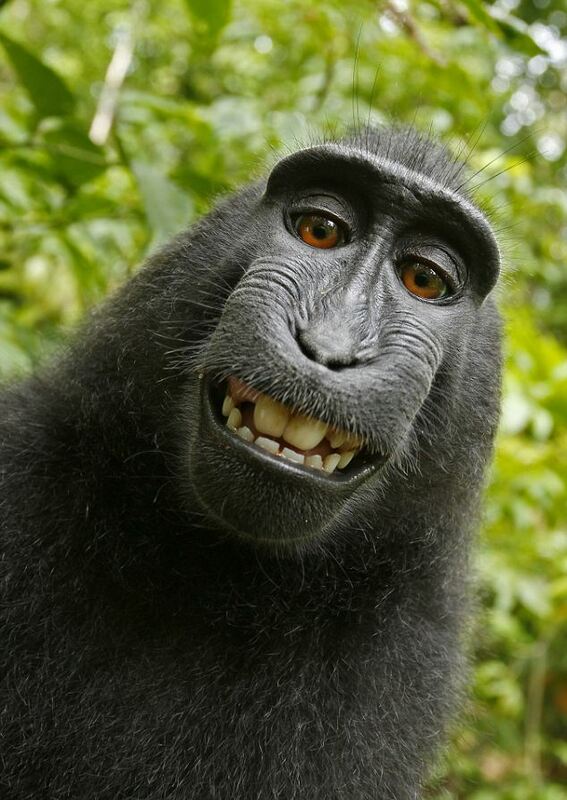 The latest dispute involves a selfie taken by a monkey who, in 2011 in Indonesia, grabbed wildlife photographer David Slater’s camera to snap a wide-smiling image of itself. 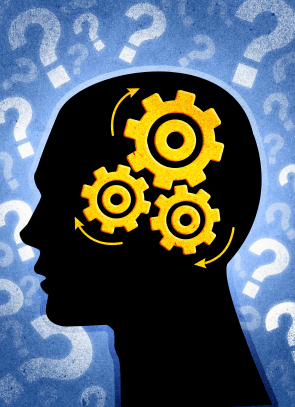 Wikipedia subsequently placed the image in Wikimedia Commons, the area of Wikipedia that holds open-source material. Slater then requested that the photo be removed as he was the copyright owner and Wiki refused. You can visit Mr. Slater’s webpage for additional examples of his work here. It appears that the US Copyright Office agrees with Wiki’s analysis. Two weeks after the controversy broke, the agency issued a 1,222 page draft compendium analyzing federal copyright law in which it stated “The Office will not register works produced by nature, animals, or plants.” Within Chapter 300, which outlines the “Human Authorship Requirement,” the Office noted that copyright law protects “the fruits of intellectual labor” that are “founded in the creative powers of the mind.” A photograph taken by a monkey was specified in the list of examples NOT protected. 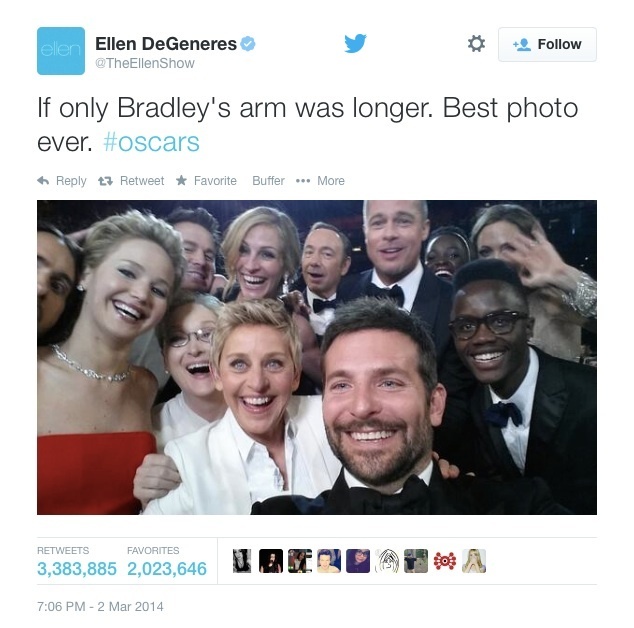 A similar ownership issue surrounding the selfie has also arisen in the context of the Ellen DeGeneres group selfie taken at this year’s Oscars and posted on Twitter. The photo, taken in the audience during the ceremony, quickly became the most tweeted photo of all time and DeGeneres later granted the Associated Press permission to share the photo for editorial purposes to subscribers of AP’s photo service. But legal scholars noted that DeGeneres may not be the actual owner of the copyright. As Bradley Cooper technically pressed the button, he could arguably be the copyright owner given the courts view historically that pressing the shutter created ownership. Should Cooper attempt to stake a claim, DeGeneres could have an argument based on Brod v. General Publishing Group, 2002 U.S. App. LEXIS 2544 (9th Cir. Feb. 15, 2002). In Brod, a photographer sued a book author for using his photographs without permission. The court found however, that the book author was a co-owner since his contributions to the process were “sufficiently original and expressive.” The copyrightable expressions in Brod included selection and arranging of subject matter, composition, camera angle and lighting. As Bradley Cooper is unlikely to assert a copyright claim, the incident currently serves only as an interesting hypothetical. However, as technology advances, issues over authorship in the photography/video context will likely arise again as physical snapping of the shutter is no longer required to produce artistic works. In Elf-Man LLC v. Cariveau, No. C13-0507RSL, 2014 U.S. Dist. LEXIS (W.D. Wash., Jan.17, 2014), the U.S. District Court for the Western District of Washington found that a production company’s complaint alleging copyright infringement for the internet downloading of its film, “Elf-Man,” did not state a “plausible” ground for relief when the company’s only evidence of infringement was the use of defendants’ IP addresses. The production company initially filed an action against 152 Doe defendants for allegedly downloading the film using the BitTorrent application, which identified defendants through their IP address. Following a dismissal of the Doe defendants in the original complaint, plaintiff filed a First Amended Complaint naming eighteen individual defendants. Four of these defendants filed a motion to dismiss arguing that the complaint failed to state a claim that was “plausible” under the Federal Rules. 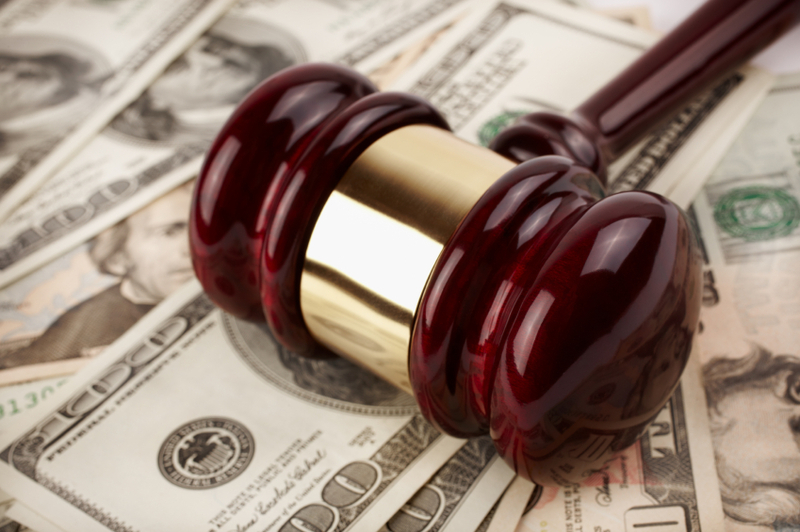 The court agreed stating that plaintiff provided no factual allegations that supported claims that defendants directly or indirectly stole copyrighted material. Noting that plaintiff alleged only that the defendants purchased internet access and failed to ensure that others did not use that access to download copyrighted material, the Court addressed the claims of direct, contributory, and indirect infringement in turn. Regarding the direct and indirect infringement allegations, the court reasoned that the mere identification of defendants’ IP address “tells us very little about who actually downloaded Elf-Man using that IP address.” Citing various other possibilities, including another family member, guest, or freeloader who could have engaged in the infringing activity, the Court found that plaintiff alleged facts that were merely possible. In the eyes of the court, it was also possible that defendants simply failed to secure their connection against third-party interlopers. The conclusory allegations of the complaint therefore failed to give rise to a plausible inference. Regarding the indirect infringement claim, the Court again found that plaintiff’s complaint was conclusory and failed to provide facts that would support a finding that defendants intentionally encouraged or promoted the infringement. Plaintiff argued that defendants should be held liable for contributory infringement “because they failed to take affirmative steps to prevent unauthorized use of their internet access….” The Court, while agreeing with plaintiff that courts continue to analyze contributory liability claims and that not all issues had been litigated, held that courts have fixed the requirement that defendant’s contribution to the infringement be intentional. Absent this essential element of the claim, defendants’ motion to dismiss was granted. 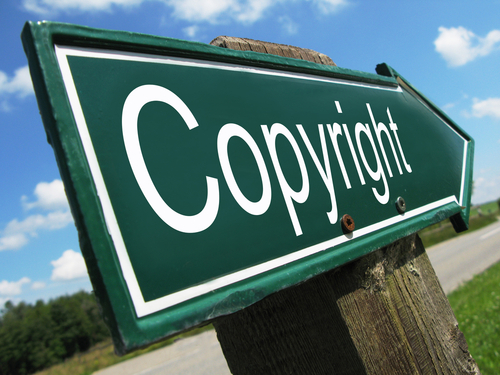 The decision arguably adds to the already difficult burden of copyright holders to protect their works from online infringement but also demonstrates the balancing act of courts which require proof that a particular individual behind the IP address actually pirated the copyrighted work.